We all get self-absorbed or show narcissistic traits on occasion. For the majority of us, these moments are fleeting and the impulses controllable. But being in a relationship with a person with narcissistic personality disorder is difficult, let alone being married to one. And if want to divorce a narcissist, you may be in for a turbulent ride. and the need to be revered and celebrated. and take advantage of others. There’s a broad spectrum, from being occasionally egotistical to full-blown NPD. All in all, however, these are not great traits for building a healthy, stable, cooperative marriage. Dr. Karyl McBride, a family therapist, wrote the book, literally, on how to divorce a narcissist: Will I Ever Be Free of You? How to Navigate a High-Conflict Divorce from a Narcissist and Heal Your Family. 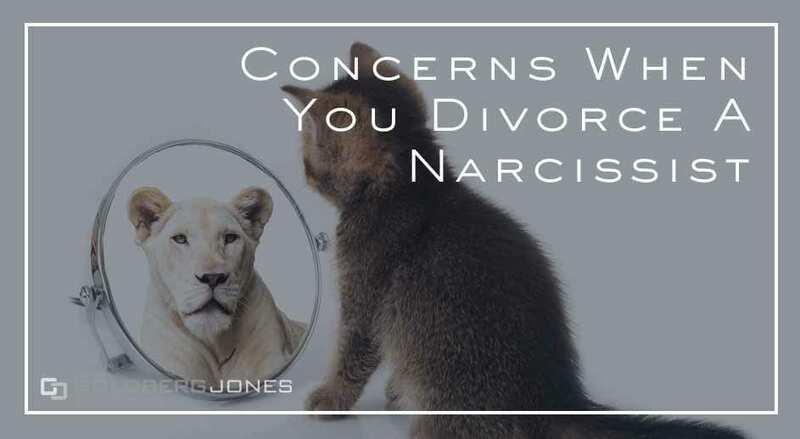 In a recent interview with the New York Times, she offered some advice on the topic and issues to be aware of when you divorce a narcissist. NPD displays a broad range of symptoms and varying levels. According to McBride, it’s possible for people with narcissistic traits but who aren’t too far along the spectrum to examine themselves and alter their patterns of behavior. If they’re open to such self-reflection, that is. The symptoms and severity cover a wide range. How you move forward when you divorce a narcissist will likely depend on how the disorder manifests. Already a contentious process, when you divorce a narcissist, things tend to get even more heated. Even in the best scenarios, it doesn’t take much for conflict to arise. Emotional wounds linger and leave lasting impressions, and this is especially true in these cases. A narcissist may also be more likely to act on this and seek retribution. Child custody, finances, division of property, and more; divorce provides numerous avenues for narcissists to lash out for the perceived wrong they’ve been done. Adept at manipulation, they often use this tool when it comes to divorce. According to McBride, they often use the system as a means of retribution. Your spouse may employ any one of these in an attempt to hurt you. Having plans to deal with these issues in mind when you prepare to divorce a narcissist will be beneficial. Like many things, you may overlook narcissism initially. Narcissists are skillful manipulators, control how people view them, and show only what they want to see. At first, they may come across charming and personable. Seeing someone’s true nature becomes difficult if they intentionally obscure it, but in most cases, you’ll see red flags. You may not notice them right away, but over time, observable patterns of behavior emerge. Almost everyone experiences some level of pain and anger during divorce. Most of us find ways to deal with those feelings and try to move forward. Narcissists, on the other hand, often cling to these emotions and use the divorce process itself as a means to hurt their spouse in a variety of ways. She suggests that the divorce field needs more professionals specifically trained to recognize people with NPD. This includes therapists, those who evaluate child custody, judges, and other professionals. Narcissists know how to present themselves to outsiders in order to get what they want, and it’s possible for the court and others to fall under their spell. Having people in positions of authority who know what to look for is key. Too often, children suffer the most during even a normal divorce. They have less control over the situation and fewer tools to cope with the emotional roller coaster. Especially true in highly contentious divorces, as narcissists often escalate conflict, the problem amplifies. McBride sees children caught in the middle of these cases and potentially at risk as an area of special concern. When it comes to ending a marriage, children are the most vulnerable parties. If you divorce a narcissist, you may want to take additional steps to ensure their protection throughout the process. A substantial difference exists between being self-absorbed or acting selfishly and being a full-on narcissist. Already a complicated process, this only elevates tension and conflict in divorce. It often complicates things even further and leaves lasting damage. If you think you’re married to a narcissist, (or are just curious) THIS QUIZ may help give you a better idea of what you’re dealing with.